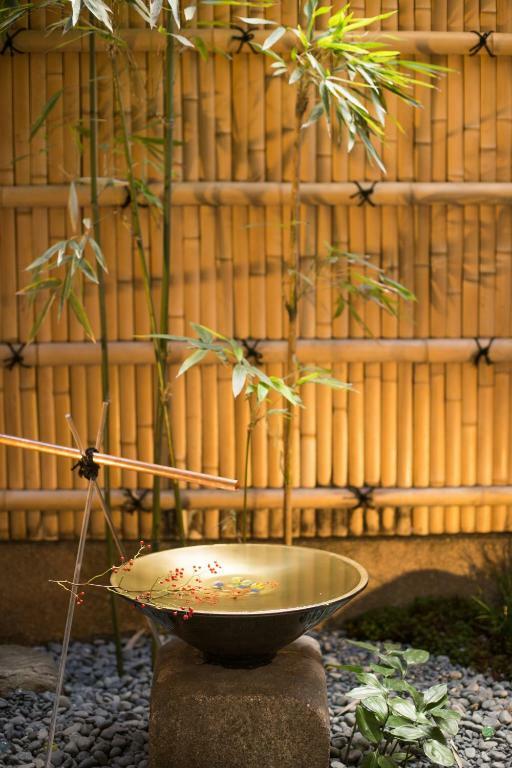 Great location in the heart of Gion. Lots of shops and restaurants literally within metres. Very short stroll to subway and bus stops. 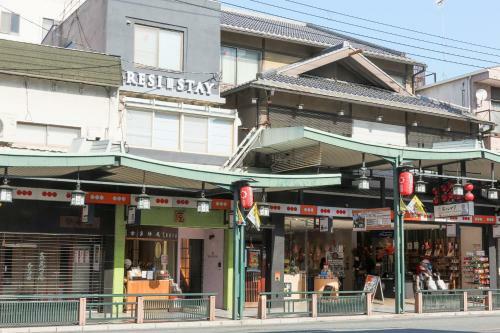 Short walk across the river to Ponto-Cho for even more restaurant and shopping choices. The apartment comfortably slept 4 of us and I thought the beds were comfy (although my wife disagreed). The facilities were minimalist but perfectly acceptable and the apartment felt recently renovated. Would stay there again. Loved the location, the space and cleanliness, the air con, the garden, the washing machine. This was a great mid point stop on a three week holiday to get our clothes clean. If we could be confident that all apartments were as good as this one then I don’t think we would ever stay in a hotel again. 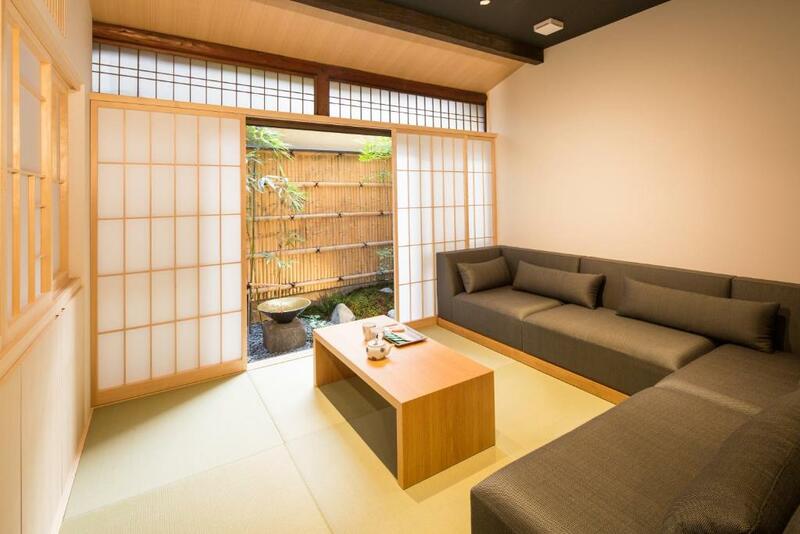 Great modern apartment in a great location (Gion). Easy access to most sights on Kyoto's east side. Even though it's on Shiijo Dori, it was quiet in the evenings. Room is clean, bath is quite big, every facility are comfort, place is very convenient and closed to shopping, river side, delicious eating food, and transporting public subway train. Great location for walking around Kyoto. Apartment very spacious and much larger than what you normally get in Japan. Wasging facility and drying room were a big bonus. Muy espacioso, lo que es todo un lujo en Japón. Limpieza exquisita. Contar con cocina fue muy conveniente. Magnífica situación. Para repetir, sin duda. Die Lage des Apartments ist perfekt - zentral zu allen interessanten Sehenswürdigkeiten. Die Zimmer sind frisch renoviert, alles in einem gehobenen Standart eingerichtet und neu ausgestattet, inklusive Klima, Waschmaschine, TV, und Bose-Radio. Die Räumlichkeiten sind großzügig (insbesondere für japanische Verhältnisse) und von den Nachbarn ist wenig zu hören. Wer also mit bis 4 Personen anreist und das nötige Kleingeld hat, findet in diesem Apartment eine angenehme Unterkunft. 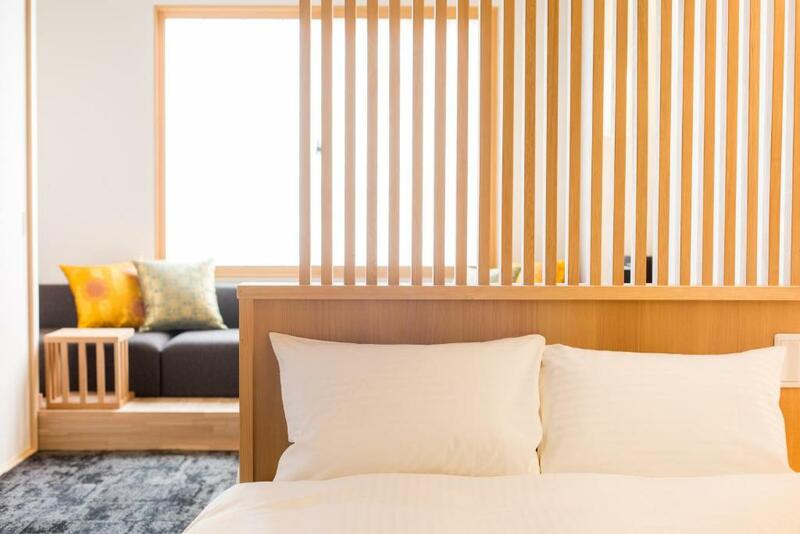 Lock in a great price for RESI STAY Gion Shijo – rated 9 by recent guests! 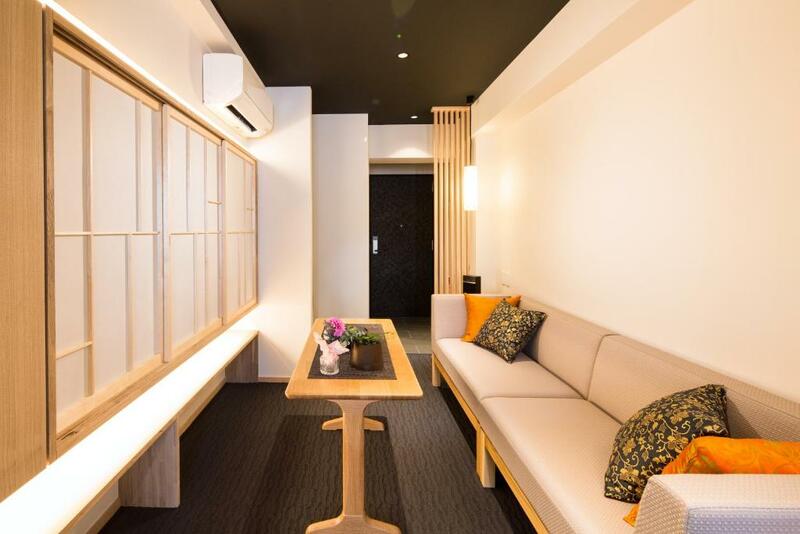 RESI STAY Gion Shijo This rating is a reflection of how the property compares to the industry standard when it comes to price, facilities and services available. It's based on a self-evaluation by the property. Use this rating to help choose your stay! 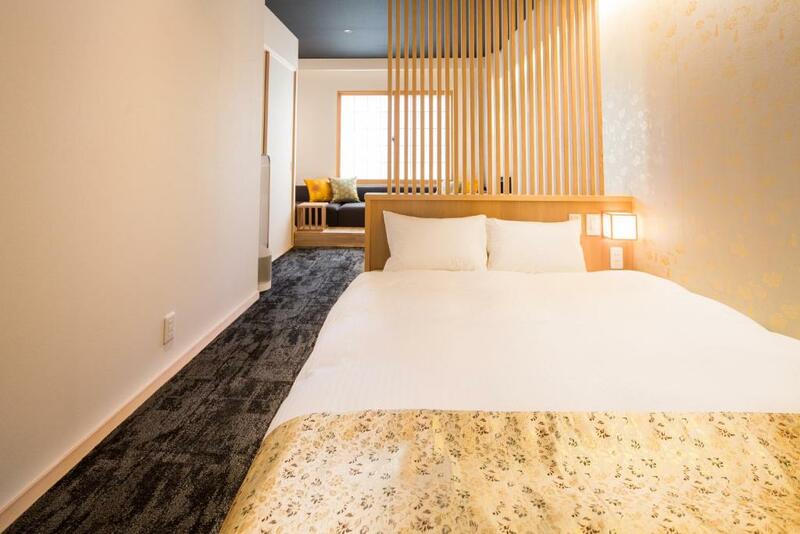 RESI STAY Gion Shijo has well-equipped accommodations featuring free WiFi in Kyoto, a 9-minute walk from Samurai Kembu Kyoto. The accommodations come with a fully equipped kitchen with a microwave and electric tea pot, a flat-screen TV and a private bathroom with bath and bidet. Shoren-in Temple is one mile from the vacation home, while Kiyomizu-dera Temple is 1.2 miles away. 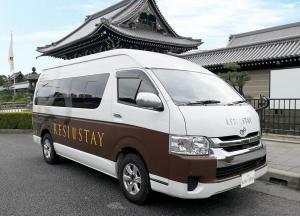 The nearest airport is Itami Airport, 30 miles from RESI STAY Gion Shijo. 뀐 Located in the top-rated area in Kyoto, this property has an excellent location score of 9.6! 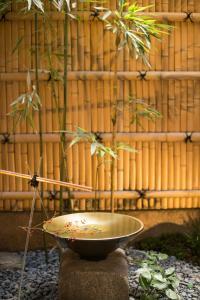 When would you like to stay at RESI STAY Gion Shijo? This quadruple room has a kitchenware, sofa and stovetop. House Rules RESI STAY Gion Shijo takes special requests – add in the next step! A JPY10000 damage deposit is required on arrival (around USD89.35). This deposit will be fully refunded at check-out, as long as there isn't any damage to the property. RESI STAY Gion Shijo accepts these cards and reserves the right to temporarily hold an amount prior to arrival. Please note, the property is strictly nonsmoking. Please note that check-in and key collection take place at: ON Building 5F, 544-2, Higashishiokoji-cho, Shimogyo-ku Kyoto-shi, Japan, Kyoto 600-8216. A damage deposit of JPY 10000 is required on arrival. That's about 89.35USD. This will be collected by credit card. You should be reimbursed on check-out. Your deposit will be refunded in full by credit card, subject to an inspection of the property. My wife wasn’t a fan of the beds - too firm for her liking. She also thought the bedroom needed blinds for the window as a lot of light came through even at night. Would be a simple addition. We struggled to get hot water in the shower after the first day (we probably pressed a wrong button) but it didn’t matter too much - because of the heat outside tepid showers proved quite refreshing. If it had been a huge problem we would have contacted the property agent and feel confident that we would have had a speedy response. The flat is really small. Clean room. Spacious. Excellent location. Only the entrance of guest room is on 2nd floor, so it is need to carry the luggage to upstair.